Jennifer has been practicing yoga since 2004. Her yoga journey began when she was a new mother and yoga class was a weekly opportunity to get some alone time. Over the years it has become an integral part of her life. 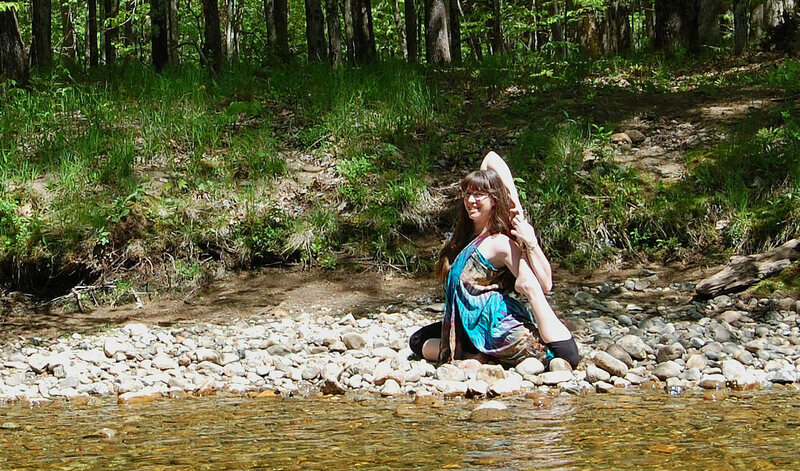 Jennifer completed her 200-hour Yoga Teacher Training program in March 2013 and is excited to share the gift of yoga. In addition to bringing regular yoga classes to the communities of Minerva and Chestertown, Jennifer often leads Community Yoga teacher at True North Yoga. Jennifer is an Adirondack native who lives on the east side of Schroon Lake with her son and their houseful of pets. She owns and operates Adirondack Efficiency, providing home energy efficiency audits to North Country residents. She spends as much of her free time as possible outside – taking pictures, horseback riding, hiking, kayaking, or just working around the house.